You’ve likely used distraction to curb your child’s behavior, but you may find that it backfires. 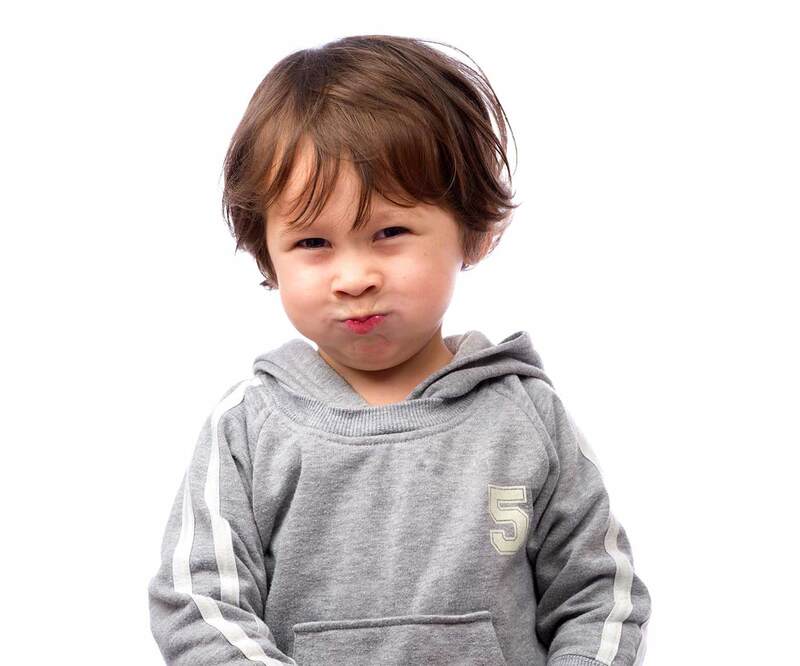 Learn why redirecting toddler behavior is a better option to discipline a child. My kids were fighting over the same fire truck… again. Tired of the arguing, pleading and tears, I scrambled to find something to break up the fight. I dug into the storage bin and found old toys they haven’t played with in a while. “Look, check out this new board game!” I announced, and as I predicted, the fight ended as they scampered toward the new toy. The fire truck sat untouched, no longer a hot issue to cry about. I averted another fight with good ol’ distraction… phew. Let’s talk about distraction. We turn to distraction because it yields quick results. Rather than sit through the crying, we shine a new object to divert their attention away. And it almost always works. The child sad about losing a game forgets all about it when he sees a new coloring book. The one upset about not sitting on the see-saw stops crying when we offer a snack. And the one with a scrape is happy watching the cartoon we sit him in front of. 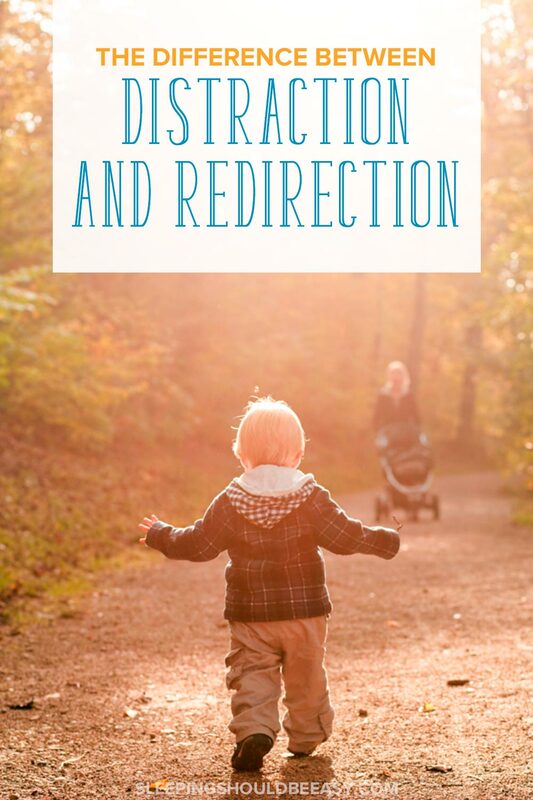 Both distraction and redirection are both ways of disciplining young children and preventing outbursts. Because their intentions are similar, they’re sometimes confused with one another, or used interchangeably. One day, I walked into the living room and saw my child about to throw a hard tennis ball, potentially breaking items or injuring others. Let’s say your kids are playing at the park and fighting over whose turn it is to go on the monkey bars. No one looks forward to coaching kids through an argument with one another, but that’s exactly the kind of interaction kids need to learn during social conflicts. Distracting kids denies them the chance to learn from what just happened, such as taking, patience and the discomfort of not getting what they want. We save our kids from disappointment but they end up missing out on several life skills. Read why you shouldn’t solve children’s social conflicts. Have you ever used distraction to steer your child away from an inappropriate activity? Maybe you caught your preschooler jumping on the couch. He was happy but oblivious to the risk of falling on the coffee table. In a panic, you whisk him from the couch, leading to tears, of course. He wants to keep jumping and seems inconsolable, so you offer a snack to take his mind off of jumping on the couch. Problem is, snacking (the distraction) has nothing to do with jumping (the motivation). This makes no sense to your child and can even confuse him. After all, we clap our hands and encourage him to jump at the playground. In his mind, he was doing something you’d always been happy to see him do. Why is jumping wrong NOW, he might think, when before it wasn’t? We don’t honor our kids’ impulse when we distract with the next nearby activity or toy. Let’s say your child is about to write in your books. Honor her impulse to write and don’t just replace it with a random activity (“Play with your doll instead”). When we redirect kids to a similar activity, we instead reassure them that the activity isn’t bad. We define when it’s acceptable (writing in a coloring book) or not (writing in mommy’s books). Imagine you were having a bad day. You fought with a friend, missed a few sales goals at work and received a high bill from the dentist. You come home to tell your husband the gory details in tears, but he doesn’t listen or help you find ways to meet your goals or talk with your friend. Instead, his first suggestion is to watch a funny movie. No vent session, no productive plans moving forward. Straight to the funny movie to take our minds off of things. Sometimes we need these types of distractions when things are just too overwhelming. But if this is our go-to move, you can see how brushing aside emotions doesn’t feel respectful. Our kids need us to be there for them, even when it’s uncomfortable and difficult. Distraction makes parenting seem like a “placate our kids at all costs” task. We do whatever it takes to avoid a meltdown or be the “bad guy.” It’s okay to be the bad guy. Kids need us to be the bad guy. Get more tips on how dealing with a toddler not listening. Redirection curbs the misbehavior while still acknowledging your child’s emotions and motives. It gets them to stop doing what they’re doing without dismissing their intentions. As we saw in the case of jumping on the couch, many times our kids’ intentions aren’t bad. It’s just jumping, after all. Your child drawing on the walls isn’t acceptable, but drawing is. Acknowledging their motives shows kids we understand that their intentions aren’t always bad. Nothing feels worse than getting in trouble for something you didn’t even know was wrong. Show empathy and saying you understand where they’re coming from. This is when your child learns what is or isn’t allowed. Jumping is all right, just not on the couch. Kids respond well to reasons. They’ll know the real reasons to stop jumping on the couch or drawing on the wall, and it won’t be because of fear of punishment or angering you. You can say, “You might fall off the couch and hit your face on the coffee table. It’ll hurt a lot!” Or “We use these books to read, not draw on.” Appeal to their desire to make sense of what they can or can’t do by explaining exactly why you stopped them from doing it. Only in the end should you redirect to a more appropriate activity. Have your child jump on pillows on the floor or draw on a notepad. If we were to just tell them to stop jumping on the couch, they won’t know why. This is especially confusing when we’ve given the impression that jumping is good in other circumstances. Redirecting to an appropriate activity acknowledges that the initial motive isn’t bad. They just need to do it in appropriate and safe ways, like jumping on the floor. We can’t always redirect our kids to another appropriate activity. You may not be able to offer anything similar to a child who wants to grab items at a grocery store. Or it’s not a big deal to give him another similar toy that’s within arm’s reach. Other times, it’s just not worth it. Your child may have been fighting with another at the park over the swing. But if he moved on to the slide, he may have found a solution on his own without any need for you to interfere. Finally, sometimes the behavior isn’t acceptable, no matter what. If your child hits another child, it doesn’t make sense to redirect him to hit a soft toy. His need at that moment isn’t to find an alternative to hitting, but how to manage anger and frustration. Redirection isn’t always possible or even appropriate. Your child might still act up even after you’ve redirected him to a new activity. (“I don’t want to play with the soft ball!”). But that doesn’t mean you should resort to distraction. There’s always something valuable to learn with every difficulty your child faces. If he’s hitting another child, don’t distract him with a toy. Instead, acknowledge his emotions and encourage empathy. You might remove him from the spot to prevent things from getting worse, or hold him as he crumbles in your arms. Distraction is sometimes our attempt to save our kids from awkward or difficult emotions, but that may not always be the most effective way to teach our kids. At face value, distractions seems to work. 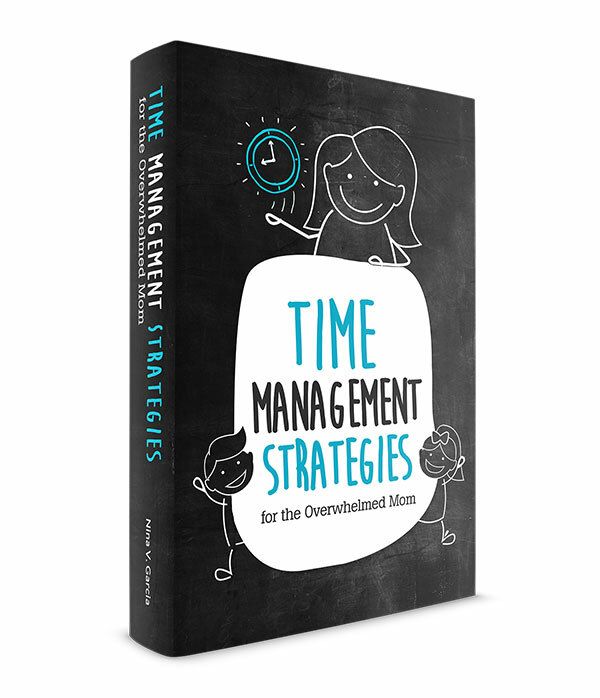 It’s quick and stops the misbehavior and tears almost immediately. But distraction glosses over many lessons. 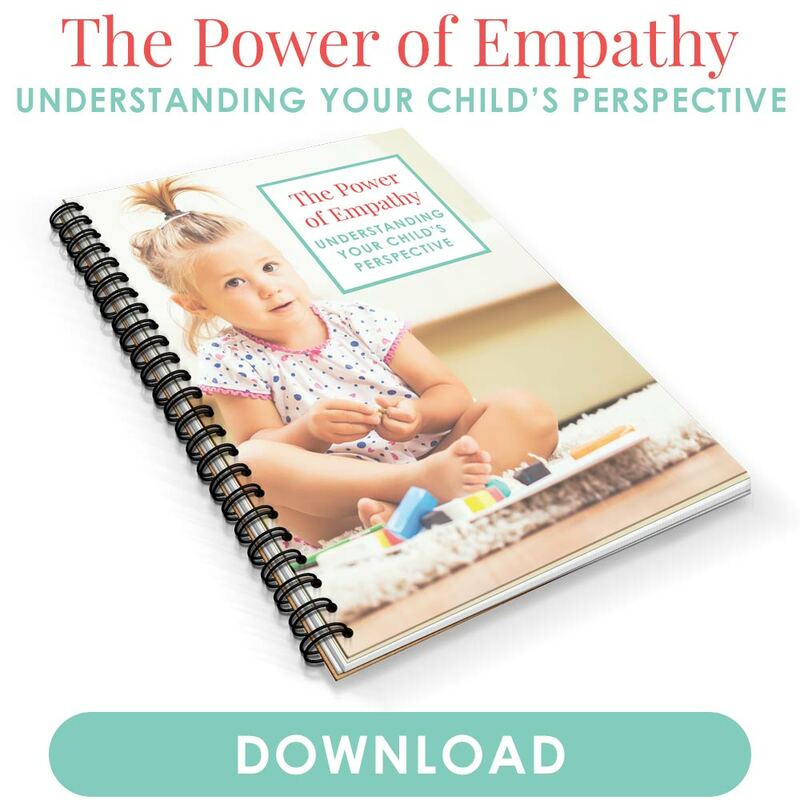 Your child can learn social skills, self-regulation and coping with emotions. The more he can learn, the better he can behave. Whereas redirection can teach kids so many skills, distraction skips over them entirely. Now I know better than to distract my kids from fighting over a fire truck. A shiny new board game might end the tears, but it won’t teach the lessons they need to learn. Tell me in the comments: How are you redirecting toddler behavior? I LOVE this post, Nina! I also find that even very young children often realize when I am trying to distract them, and they often find it insulting – which damages my relationship with them. It’s so much better to believe in their ability to reason and work with you to come up with an alternative activity. You raise a lot of good points, respect for the child seems much more inherent by redirection rather than distraction. Yeah it’s similar to when we tell kids “It’s okay,” when really they don’t feel the least bit okay. Good intentions that could be taken wrong. I agree that redirection is so much better and it’s part of the whole ABA therapy that my son receives at school!!! Like reward them for the good, and do not encourage the bad. Sounds simple but it’s not. I admit to using distraction at times though, when I’m lazy and know know KNOW it’s not as good…sigh….and you’re right. It doesn’t always work. Great great post and thank you for sharing!! I try to do the same Kristi. I’ve heard it called “positive parenting,” where we praise and reward for the behavior we want to see and ignore the negative. You’re right: it’s pretty difficult to ignore negative behavior, especially when they’re trying to get your attention by doing just so! Huh, I had never really thought about the difference. But I agree; redirection is definitely superior to distraction. My 8 month old has just started to crawl so I think we’ll be doing a good amount of redirecting in the next few weeks (though we’re pretty well childproofed around here). Yes with the young ones we’ll definitely have to be doing a bit of redirecting (and probably distracting when all else fails lol).